We love the holidays as much as everybody, but you don't need a blinking Rudolph nose or Santa hat to show your spirit. When choosing what to wear to holiday dinner, we took a more subtle approach with classic red, soft gray, luminous gold, a small bit of sparkle. 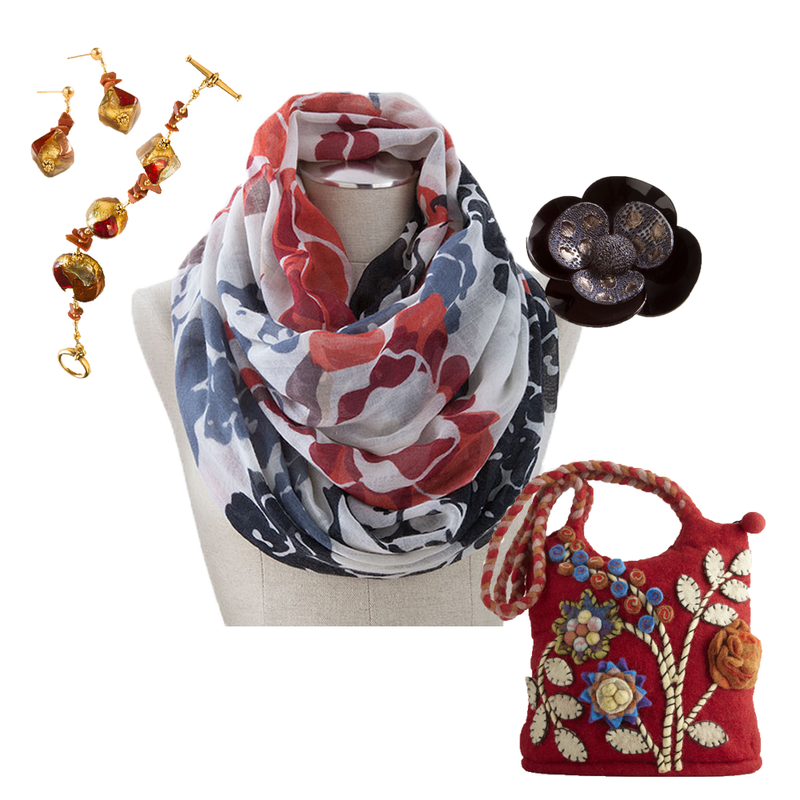 An elegant, yet comfortable look that leaves room for the fun and whimsy of the purse. What do you think of our outfit? What will you be wearing to holiday dinner?